The Net Promoter Score is an extremely simple survey you can give your customers which turns out to be an excellent indicator of overall customer satisfaction. The Harvard Business Review calls it the one number you need to grow. 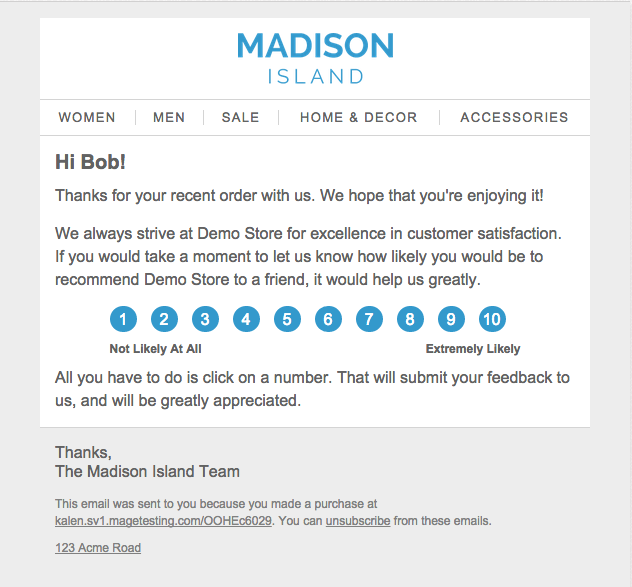 You can send out the survey to your customers as part of your first-order post purchase series. The way it works is by hooking into a Google Form - when the customer clicks through on 1 through 10 it will save the number along with their email address, and then we'll be able to calculate the score inside of the Google Spreadsheet.